I love aspect ratios, and care deeply for their wellbeing. I find myself angry when they’re mistreated, frustrated when they’re overlooked, and delighted when they’re allowed to come into their own. My passion for the subject looks pretty weak though, compared to that of FilmmakerIQ’s John Hess, whose knowledge of aspect ratios is rivalled only by his ignorance of how to pronounce the name of French cinematographic pioneer Henri Chrétien. 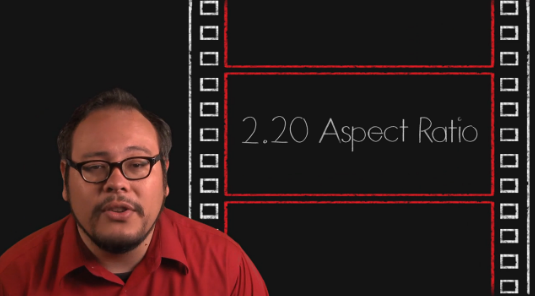 In his comprehensive History of Aspect Ratio video, Hess charts the development of cinema’s visual playpen over the course of a century, covering a vast range of standards and finally ironing out all those 1.33 vs. 1.37 niggles that have so often kept me awake at night. Set aside 18 minutes this afternoon and never use your television’s ‘zoom’ function again.